-High strength steel construction, broached body and precise ground plunger. - Hardened steel pins and bushings are used for pivot joints. - Supplied with separate handle and base. Users can weld them at desired position. - These clamps can be mounted using base (supplied) or by drilling a hole in fixture and welding in place. 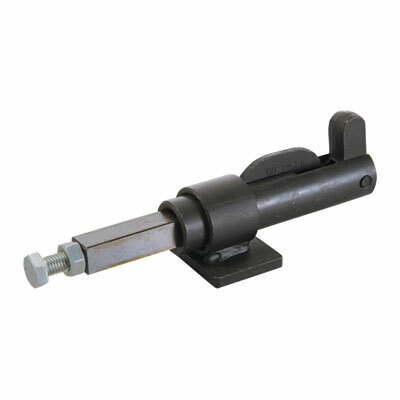 - Clamp handle can be rotated to any position. Plunger locks at both ends of travel.